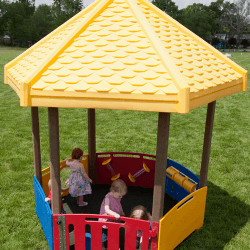 The 7 1/2′ hexagon Infant Play Area provides (5) different activities for infants to do. 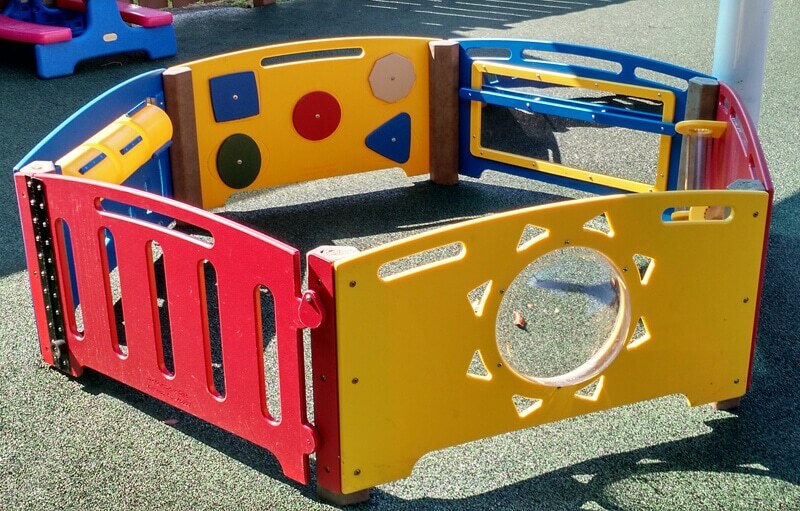 The sixth side of the hexagon is a gate which helps provide the children with a safe play space. 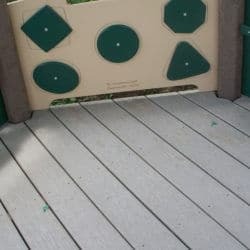 Included on this infant playground equipment are (1) sound panel, (1) ball drop panel, (1) mirror panel with bar, (1) shape spinner panel, (1) bubble panel, and (1) gate. Each activity panel is 44″ long and 24″ high.